The perfect Christmas gift for anyone interested in Manx history. 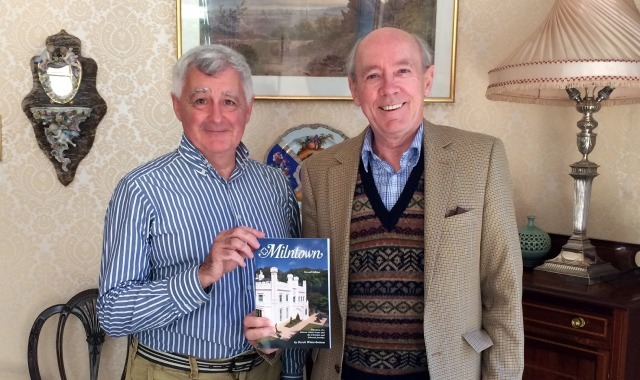 The revised second edition of Derek Winterbottom’s book is now available to order online or from the Milntown café. It tells the exciting story of the Island’s powerful Christian family; their struggles on behalf of ordinary Manxmen with the Lords of Man, of Edward Christian the first rebel, Illiam Dhone’s martyrdom, their sojourn in Cumberland and return to the Island. Ending with the spectacular bankruptcy in 1886 on the death of William Bell Christian and the efforts of his widow to run a school until 1912. Also revealed is the agreement signed in July 1750 between Captain John Llewellyn and Ewan Christian to demolish the old Milntown and a sketch of the house that Llewellyn was to build to replace it. This house is at the core of the current building. Derek Winterbottom describes how this building was added to, including Deemster John Christian’s adding of the gothic façade we see today. 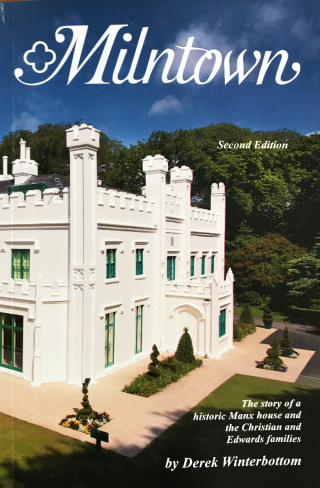 The fortunes of the last owners of Milntown, the Edwards family, how they rose rapidly to become millionaire industrialists in nineteenth century Wales are also described. How the motoring baronet Sir Clive came to the Island, his restoration of the mill to power machine tools to support his and his friend Bob Thomas’ passion of restoring vintage cars and bikes. One of the original trustees when the charitable trust was established, Bob Thomas also recounts his personal experiences of Milntown’s ghosts. For all other destinations please email enquiries@milntown.org for a quote. Copies are also available in the Milntown Cafe for £10.